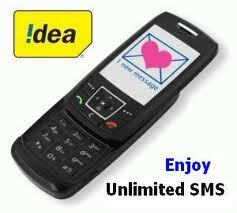 I love free sending SMS and I am sure that you do too. So here is a simple hack for all Idea users to send free SMS. 1. Send a free sms by write ‘MYOFFER’ in your message compose box. 2. Send it to 12345 and that’s all you need to do. 3. Now wait for approx 2 hours or even it will take less time than this. And that’s it, now enjoy 50 SMS daily for without spending any money on recharge subscription coupons. Please leave your feedback with your comments.